Hi everyone :) Today I'd like to share these silver snowflakes with you. I was actually feeling pretty uninspired the whole day, sometimes you just have those days when you feel like you've got nothing to wear, even though you've got drawers of polish that could easily color the nails of your entire neighborhood... Anyone recognizes this? ;-) So to make a choice anyway, I just picked two bottles from my collection, with my eyes closed. Those polishes became L.A. Girl Matte Blue Twilight and Essence Romeo (the shimmer version), luckily they formed a great duo and they instantly said 'Snowflakes!'. I only had to apply one coat of Matte Blue Twilight, because it's very opaque and the formula is so smooth. (I'm gonna have to use this one more often!) 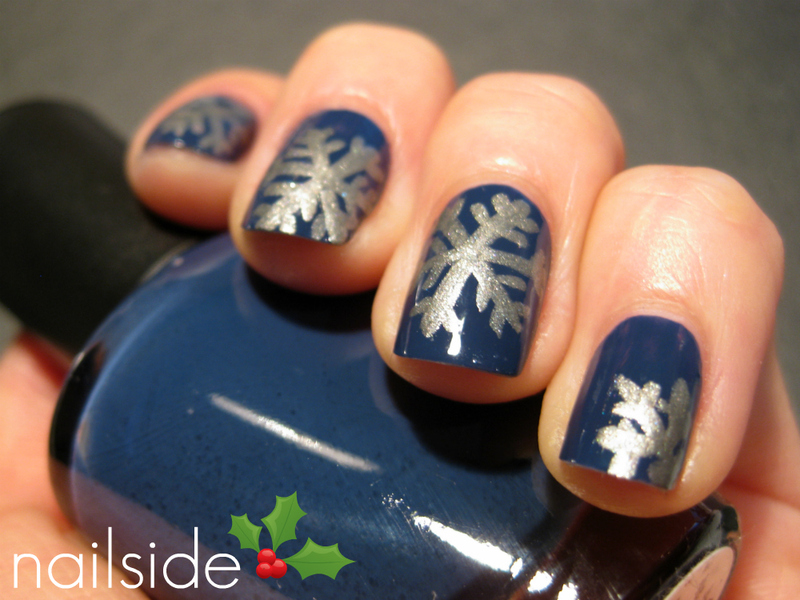 And because it's matte, it dries quickly too, so soon after I could draw the snowflakes with a nail art brush and finally add top coat for a glossy finish. I'd already finished all my nails before I realized I should've taken pictures in between to make a tutorial. So I'll make new pictures once I've enjoyed this winter mani for a couple of days ^^ Hope you like it too and see you soon! Very cute...love that Blue Twilight!!! Oh my, the snowflakes are amazing! Very nice! They look great! Awesome pick for being random! Can't wait to see more winter/Christmas nails! I love that you chose two random polishes- I totally know what you are talking about, I solve that feeling by buying MORE polish.... but I like your solution better! 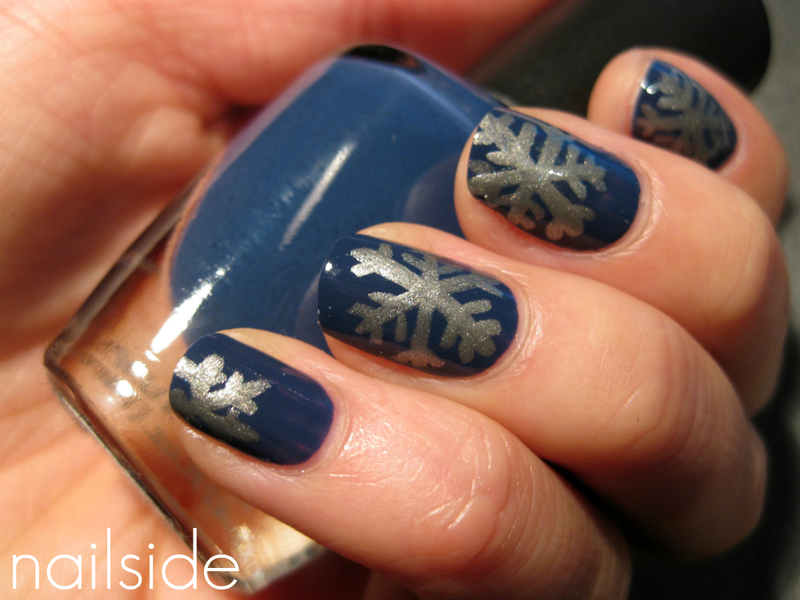 Very awesome, and the freehanded snowflakes.. <3 perfect! I love this so much! It's so Christmassy and beautiful! It makes me feel all fuzzy and excited! Super cute! the colors are perfect! You have such talent! You have amazing skills with drawing and freehanding on your nails! It looks so gorgeous!! !